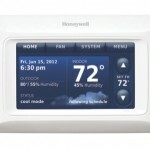 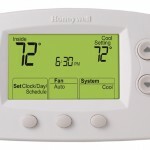 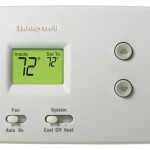 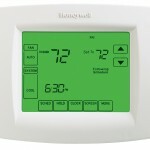 A thermostat is a component of a control system which senses the temperature of a system so that the system’s temperature is maintained near a desired setpoint. 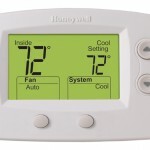 The thermostat does this by switching heating or cooling devices on or off, or regulating the flow of a heat transfer fluid as needed, to maintain the correct temperature. 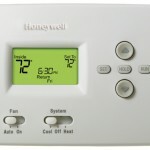 The name is derived from the Greek words thermos “hot” and statos “a standing”.